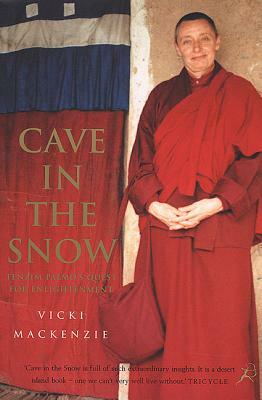 This is the incredible story of Tenzin Palmo, a remarkable woman who spent 12 years alone in a cave 13,000 feet up in the Himalayas. At the age of 20, Diane Perry, looking to fill a void in her life, entered a monastery in India--the only woman amongst hundreds of monks---and began her battle against the prejudice that had excluded women from enlightenment for thousands of years. Thirteen years later, Diane Perry a.k.a. Tenzin Palmo secluded herself in a remote cave 13,000 feet up in the Himalayas, where she stayed for twelve years. In her mountain retreat, she face unimaginable cold, wild animals, floods, snow and rockfalls, grew her own food and slept in a traditional wooden meditation box, three feet square. She never lay down. Tenzin emerged from the cave with a determination to build a convent in northern India to revive the Togdenma lineage, a long-forgotten female spiritual elite. She has traveled around the world to find support for her cause, meeting with spiritual leaders from the Pope to Desmond Tutu. She agreed to tell her story only to Vicky Mackenzie and a portion of the royalties from this book will help towards the completion of her convent. Vicki Mackenzie has been a features writer for The Daily Sketch and The Daily Mail and has written for The Sunday Times, The Observer, The Daily Express, The Mail on Sunday, and many national Australian magazines.